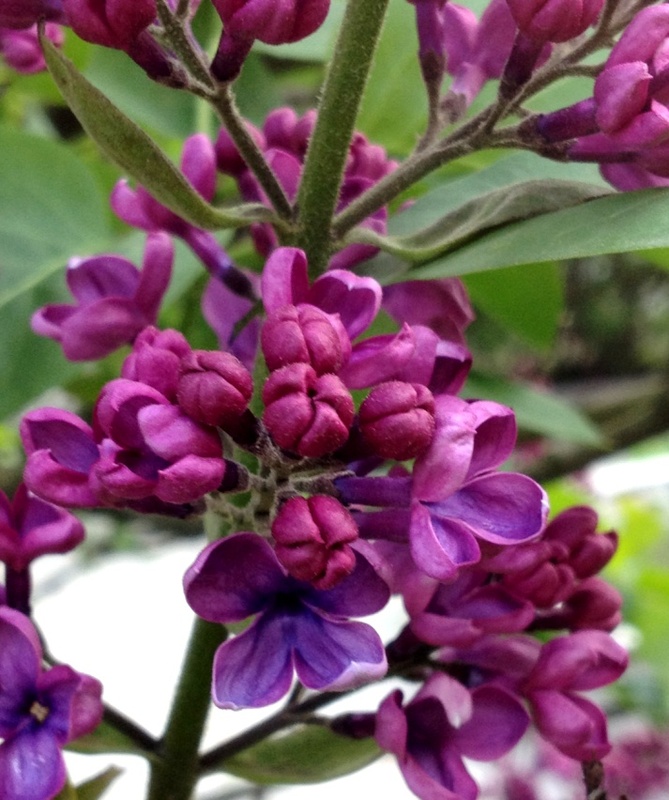 Back in Virginia we had a screened porch in the back of our house, and off one corner of that we had a lilac that would make sitting out back even sweeter. 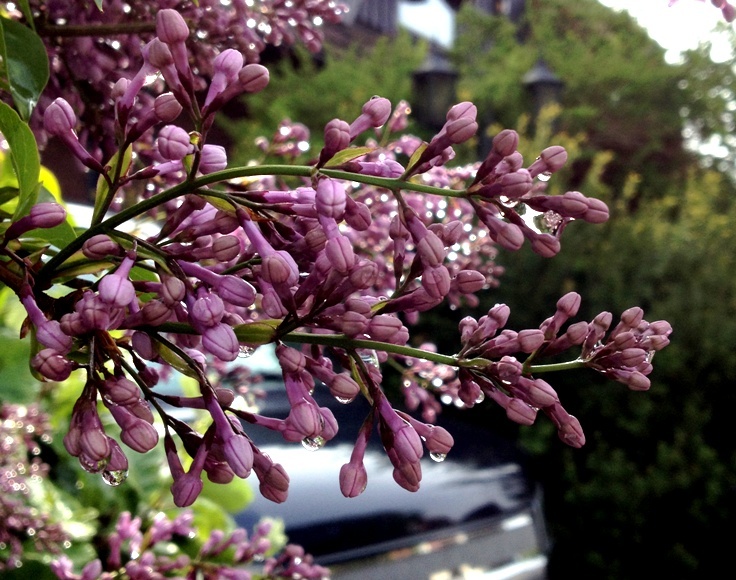 Hearing about how warm it has been there lately (and bundling up in rain gear or jackets here) made me miss being able to sit outside and smell our lilac. Apartment living has been okay so far, in part because it's temporary. 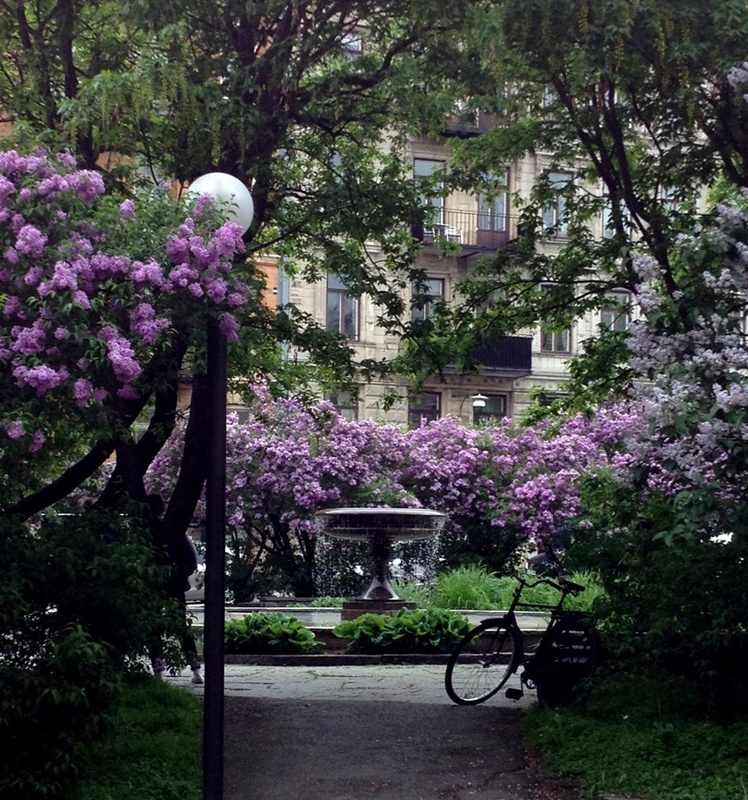 So while I miss being able to smell my lilac, in the past couple of weeks lilacs have appeared everywhere around Gothenburg. All different shades of purple and also white, single and doubled, just beautiful. I will borrow these and enjoy not having to dead-head or weed. I was also missing this hydrangea that lives next to the lilac at our house in Virginia. 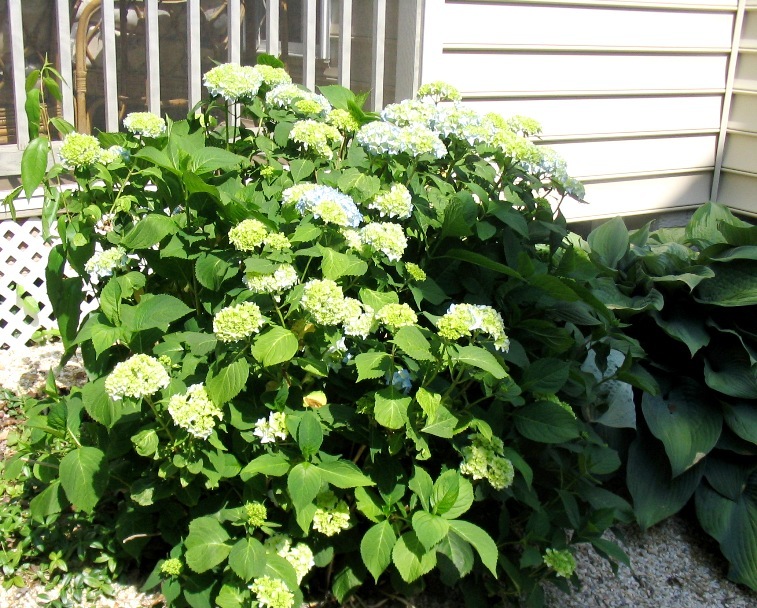 It blooms blue in the summer, and then in the fall the flowers have wonderful shades of green and russet. 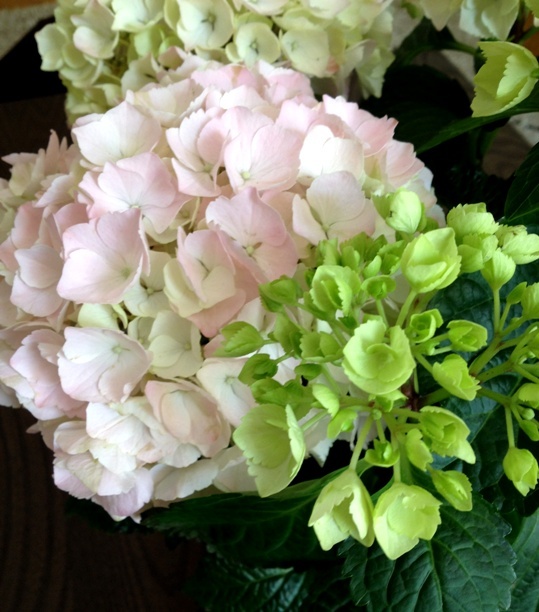 But for Mother's Day I got this potted hydrangea, which is great because I like to have flowers inside to enjoy.